App makes life easy by teaching people different things. Previously, the only way you could learn a new language was from another person, but technology has changed all that. Different apps have been developed to help people learn new languages. Apps are advantageous because they are easily accessible, reliable, and effective. You do not need to meet with a tutor to learn a new language anymore. Learning the Portuguese language has been simplified by the creation of the app. The app is simple, and elegant at the same time. It changes people’s perspectives of the Portuguese language. Furthermore, it makes people interested in learning a new language. It has redefined how the language is learned as a foreign language. The app is credited for being suitable for those who cope better visually and audio learning. What makes the app ideal is the fact that it caters to everyone’s needs. Learn Portuguese the fast and fun way by using the app. Learning a foreign language like Portuguese helps you communicate better with others. Easy Portuguese app understands the frustrations of learning a new language and simplifies the process for you. The app contains 6000 words and is free of charge. What more could you ask for? The app lists commonly used words to help beginners master the language easily. Hence, you can download the app to your phone by going to the Google Play Store. Don’t miss the chance to learn Portuguese the fast and fun way. 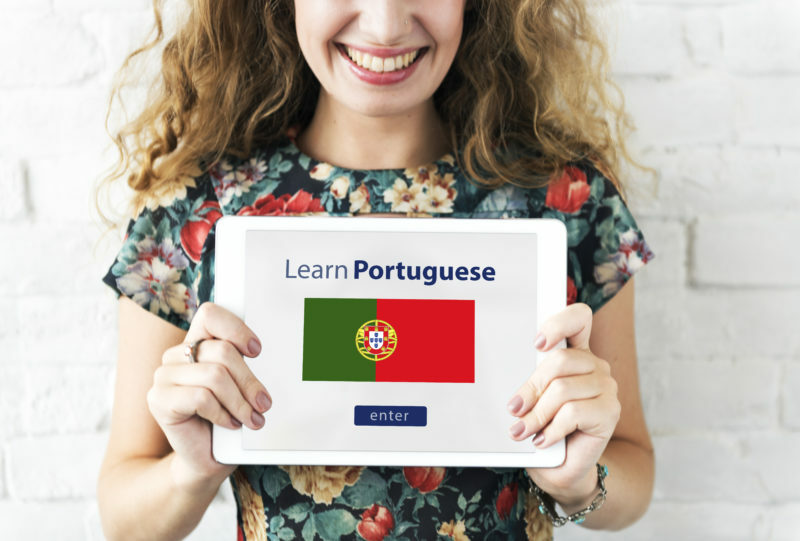 The easy Portuguese app guarantees maximum comfort by enabling users to learn and interact with other learners. The app contains a wide vocabulary of 6000 words. If this isn’t a deal, I don’t know what is. Imagine using an app with an extensive vocabulary. Well, you don’t have to imagine for long because the Easy Portuguese app meets all your vocabulary demands. Moreover, the words are carefully chosen and arranged in thematic topics. Developers of the app wanted all users to understand every word used in the app. A considerable amount of time was spent choosing and organizing words into thematic topics to help readers understand. The app is unique, and intentional. It is organized such that for every word you use, the Portuguese translation is given in print. Furthermore, it also notes its professional translation into users’ native languages, pronunciation. Learning a new language is now easy and fun using the Portuguese App. For every word given, an image is shown to give a deeper meaning. The purpose of the app is to help users understand every word and why it is used. Although it contains many words, developers of the app do not give vague explanations. Instead, phonetic transcriptions are given for every word. It contains detailed description which makes it interesting. Unlike other apps which bore users with a vague explanation, the Easy Portuguese App seeks to interact with users. Unlike other apps which have limited thematic topics, the easy app boasts of 140 topics. Furthermore, users can identify with the app because of it their problems. Apps with limited topics tend to bore users because they dwell on one subject. Thus, it is recommended that you change topics now and them to keep users interested. Our objective is to give users a quality service. We focus on the individual needs of learners. We understand that learning a foreign language is not easy and have categorized our lessons. We have three stages of difficulty, for beginners, intermediate and advanced learners. Beginners’ lessons are different from intermediate and advanced students. Our pride is in seeing every student reach the advanced level. Beginners start with 1000 words vocabulary and build up. Once they prove that they can handle the words comfortably, they move to the next stage. They are given access to 2000 words in the intermediate level. Students are urged to take time before responding to avoid dragging in one stage. The advanced level opens 3000 words when a student completes the intermediate stage. Students who reach the advanced level are considered excellent in Portuguese. Wouldn’t you like to reach the advanced level? Download our app and learn Portuguese the fast and fun way. Moreover, the app has unique learning games that make the learning process interesting. Using an app with dull and lifeless steps can bore the life out of you. They are not just games, but teach users the Portuguese language. So you on top of learning a foreign language, you are also having fun in the process. The app has games such as “Matching Words,” “Vocabulary,” and “Write-Word” which challenge users to think about what they have learned. The app developers decided to include games to challenge the memory of students. Instead of thinking of it as a lesson, you think of playing games. Learning the Portuguese language is even better if you are having fun. You can play with friends who want to learn a new language or alone. Our spin categories features allow the app to pick topics and sub-topics randomly for students. Furthermore, the app contains several languages students can learn after knowing Portuguese. All the words were translated into other foreign languages to help learners. Such languages include Russia, English, Turkey, Indonesian, Hindi. German, Arabic, Ukrainian, Chinese, Romania, Swedish, Greek, Danish, etc. It is committed to helping students learn different languages free of charge. You are free to pick your native language and learn Portuguese. You can learn the most commonly used phrases on the app. Using the app is beneficial because it enables you to cover your writing and travel needs in any language. You are no longer limited by your native language when you visit other countries. Some people do not travel because they do not know other languages apart from local ones. Through this app, you can learn any language you want. Gauge your competency in any language simply by filling in missing words in given phrases. You can also find mistakes in given phrases to test your mastery of the language. The Easy Portuguese App is passionate about helping students further their career opportunities abroad and create networks. In today’s word, it is important to know more than one language. The app is ideal for anyone who is interested in learning a new language anywhere. Moreover, fun activities like games make it worthwhile. Learning has been simplified by technology so you should not pass this opportunity for anything. Download the app today to learn Portuguese and other languages.